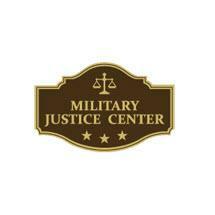 Based in Fayetteville, North Carolina, the Military Justice Center vigorously defends military service members around the world in matters such as courts-martial, sexual assault defense, military investigations and many other cases. In our civilian practice, the Conormon Law Office can guide you through serious personal injury cases, including medical malpractice. If you have been charged with a state or federal crime, we will aggressively defend you against the charges. 5114 Yadkin Rd, Ste 100, Fayetteville, NC 28303 Noble & Quinn Attorneys-At-Law, P.C.